KDE-India was founded at India's premier FOSS conference - aptly called - FOSS.IN ( FOSS.IN/2005 ). We are still a very young group at large as a local KDE group. There are lots of things that can and need to be done. Spreading KDE, here in India, can be tackled on various fronts - via educational institutes, at government level, and even through corporations. I would like to talk about some of these aspects. My special interest has always been getting more students involved with Qt/KDE development - basically catching them young is the simple idea. Since it's mandatory here (like in most places) to complete one project as part of a degree course ( Engineering, BSc ,CS, IT, etc ) many students tend to create the UI using Java Swing or VB, and are completely oblivious to the fact that there is a great toolkit called Qt and its superset KDE that can be used to develop great applications. And it even helps us do more than "just" the UI. I have given talks at various colleges on this subject. The larger plan would involve popularising KDE and KDE-based distros - and as a result Free Software to various parts of India. This is a problem in itself because of the size of our country and the varied culture and multiple languages we have. We have 23 official languages. This is a localisation case study in itself. I would also like to showcase the problems that we faced (and still face) as a young organisation especially in terms of infrastructure-related issues, and how to go about various things. I will also highlight how certain issues were resolved and talk about how much help we received from the KDE Project and the KDE folks. 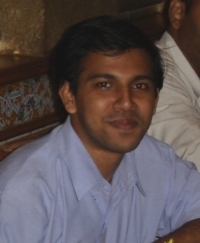 Pradeepto Bhattacharya is a free software enthusiast with special interests in Qt/KDE technologies. He is one of the founding members of KDE-India and has given a few talks on the same subject at various colleges. He lives in New Panvel, near Mumbai, India with his family and works as a software engineer at KDAB, the largest independent source of Qt knowledge in the world.